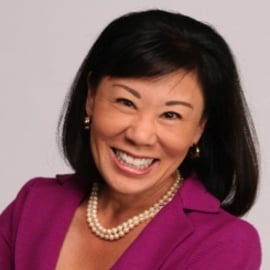 Dr. Becky Takeda-Tinker blends her passion for education with her experience in nonprofit governance and over 20 years of business leadership as the president and CEO of Colorado State University-Global Campus. CSU-Global is the nation’s first and only 100% online, independently accredited, state, nonprofit university. She currently serves on the National Advisory Board for the Office of Small Business  Development Centers (SBDC), the Governor of Colorado’s Small Business Council, and as a Peer Reviewer for the Higher Learning Commission of the North Central Association of Colleges & Schools; and participates on local and state boards that seek to enhance the quality of lives in the U.S. and abroad, including Vital for Colorado and the Women’s Forum of Colorado. She holds a Ph.D. in organization and management with a specialization in leadership; a Masters of Business Administration in Finance; and a post-graduate certificate in marketing management; and a Bachelor of Arts in economics.